Most people in the West fail to get enough sleep, which can contribute to serious health problems. Reading this book and acting on its advice could be the single best thing most people can do to boost their health and wellbeing. Category: Self Help & Personal Development, New Releases Tags: fitness, health, self-help, sleep. Lack of sleep is not just a matter of feeling tired. Recent research has shown that it is associated with serious illnesses such as high blood pressure, diabetes, heart disease and even cancer. The big question is, what can we do to get more sleep? Who can we turn to, for a sympathetic and knowledgeable one-to-one consultation? 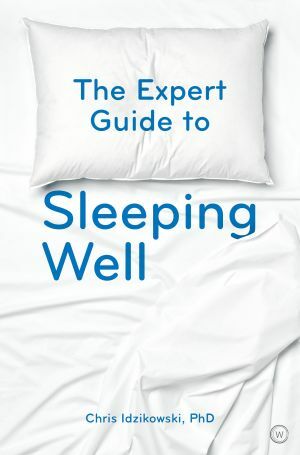 The answer is, to one of the world’s leading sleep experts: Professor Chris Idzikowski, who here reveals his wisdom in a down-to-earth and reassuring way. The Introduction answers four basic questions: What is sleep? What is dreaming? What is tiredness? What is fatigue? Chapter One takes a fascinating look at the history of sleep, showing how social and environmental factors have affected human experience. Chapter Two tells us what science has made of sleep, in a friendly, easy-to-follow style. Chapter Three gives extensive advice on how to manage your sleep, whatever your particular circumstances or needs, with specific advice for workers, parents, drivers and flyers, as well as for dreamers and problem-solvers; also covered is our changing requirements as we age. Chapter Four gives the same number of pages to sleep problems, including insomnia, breathing disorders, circadian clock disorders, nightmares and movement disorders. Finally, Chapter Five is a collection of concise practical tips and guidelines, including a directory of sleeping pills and potions, from pharmaceutical stand-bys to home-brewed herbal teas.